Bill Pennington, age 82, a longtime resident of the area, passed away on March 27th, 2019. He was born on January 18, 1937, in Dothan, Alabama, to Robin and Lila Mae Pennington. The family moved to Panama City, Florida, where he was raised and graduated from Bay High School in 1955. Bill received his Bachelor’s degree from Troy State University and completed his graduate work at Rollins College in Orlando, Florida, before beginning a career as an Engineer. While in Orlando, he met and married Roberta “Bobbi” Walters in June of 1964, enjoying 54 years of joyful marriage together. In 1968, they relocated to Fort Walton Beach, Florida where Bill worked as an independent contractor until 1972 when he ventured out to form a small business called TYBRIN Corporation working in the US Defense industry. One of the greatest joys he had was to enjoy time with family and friends and to watch TYBRIN grow into a successful business, giving employment and opportunity to the many people who came to be known as “extended family” to him. He loved sharing time with his devoted wife, Bobbi, and being with family any time he could have an opportunity to do so. He and Bobbi became loving and passionate grandparents to four grandchildren, Laura, Mark, Trent and Kyle and enjoyed every opportunity to be a close part of their lives. Bill was known as a man with a kind heart and will be missed dearly by his friends and family. Bill’s faith along with his ever-present sense of humor carried him in his final days and he believed that he would be reunited in glory with his Heavenly Father and family members who have already passed into glory. 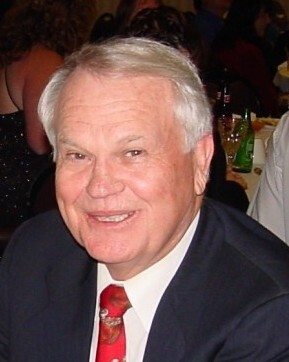 Bill is survived by his wife, Bobbi and their son Brian (Kimberly) of Shalimar, Florida; grandchildren; Laura, Mark, Trent, and Kyle; brother, Winston “Wink” Pennington of Panama City; sister, Maxine Ward along with several nieces and nephews – all whom he loved. He was predeceased in death by his son Ty; sisters, Helen Pitts and Patti Sherrer; Father Robin; Mother Lila Mae. A Celebration of Life will be held at Trinity United Methodist Church, 403 Racetrack Rd, NE, Fort Walton Beach, Florida on Monday, April 1, 2019 at 2:00 P.M. with a reception following in the Dean Fellowship Hall. The family invites you to share memories, express condolences and sign the online guestbook, please visit www.emeraldcoastfuneralhome.com In lieu of flowers, donations can be made to the Imagine Renovation Campaign at Trinity United Methodist Church, 403 Racetrack Rd NE, Fort Walton Beach, FL 32547, to Children in Crisis, 1000 Luke’s Way, Fort Walton Beach, FL 32547, to the Children’s Advocacy Center, 401 McEwen Dr., Niceville, FL 32578, or to any charity benefiting children in need.